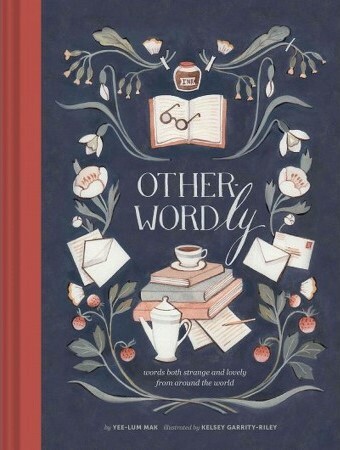 Otherwordly is a lovely book, which I came across when Shelf Awareness sent me this blog post from Chronicle Books. I immediately bought the book. And the illustrations are perfect, too. I wish you could see the illustration that accompanies this (and one other) word on this spread: a crowd of people in dark somber colors, raincoat and umbrellas, and the one young woman with her head bare, a red ribbon in it, a red coat, holding a bunch of tulips. Her head is raised slightly to the sky and she has a hint of a smile on her lips. wow – examples in the blog post you cite make me want to EXPERIENCE words from that book! The power of the right word to evoke thoughts & feelings is testimony to what image-inary animals we are.